Samsung’s profit has plummeted 60% in Q1 from a year ago. The company has been enjoying its status as the world’s largest semiconductor supplier since 2017, when it stole that title from incumbent Intel. But with global memory demand down and smartphone shipments faltering, it’s no surprise that the tech giant is struggling to match the highs of yesteryear. 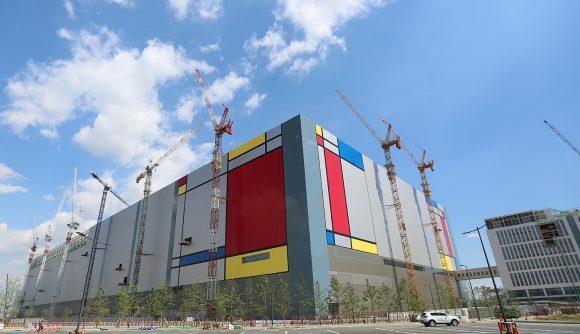 In its recently released earnings guidance, Samsung reported consolidated sales of some 52 trillion KRW, so it’s hard to feel too much sympathy for its rather affluent execs. Of that, its consolidated operating profit was ~6.2 trillion KRW. During that same three month period in 2018 – the lazy, hazy days of crypto-fever – the company netted 15.64 trillion KRW in operating profit. That’s a 60% downturn in twelve months. A large portion of Samsung’s revenue is made up of memory manufacturing, and an even greater portion by smartphones. With both markets, intrinsically tied together in many ways, currently experiencing a rocky patch, the company has been hit harder than most. DRAMExchange recently reported the PC memory market was in “freefall”. A bad omen for Samsung’s sales. Apple has similarly struggled with iPhone sales in recent quarters. Analysts have reported figures from single to low double-digit decline in shipments from the company, and it officially reported year-on-year iPhone revenue declined 15% in Q1 2019. Q3 2016 was the last time Samsung’s profits were quite so low (for Samsung). That quarter was originally projected at 7.8 trillion KRW, but the Galaxy Note 7 debacle happened, some phones started ‘splodin, and it had to drastically shave off a couple trillion from its guidance. But one company is set to benefit by Samsung’s lapse: Intel. Even if it’s only in retaking the arbitrary and relatively meaningless top spot in the world semiconductor manufacturing ranking table. By hook or by crook, Intel is forecast to regain the world heavyweight belt, despite also having a relatively dim outlook for 2019. Intel has its own laundry list of concerns it needs to deal with in the following year, including a reportedly ongoing CPU shortage, increased competition in datacentre and client divisions from AMD, and its transition to the 10nm process node. And while the company’s $71.6bn revenue is a little less than analysts were hoping for, it could be enough to clinch the title regardless.